The crisis of 1879–80, when the potato crop failed, seasonal migration remittances declined and the kelp industry suffered from foreign competition—was exacerbated by large-scale evictions. Throughout the nineteenth century the west of Ireland experienced frequent subsistence crises and famines, as the region’s resources were incapable of supporting its large population. During the Great Famine the contributions of private charities such as the Society of Friends played a major role in alleviating the distress in areas such as Letterfrack and the Mullet. Thereafter a close relationship developed between the Quakers and the west, exemplified in the activities of James Hack Tuke. 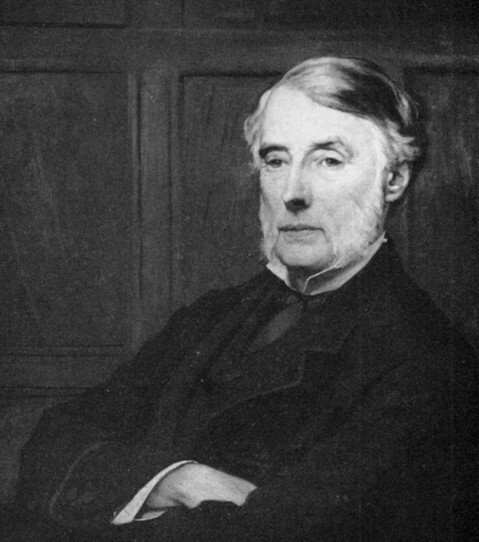 Heavily involved with relief operations during the Great Famine, his connections with Connemara continued into the 1880s. The impending crisis in the west led the Society of Friends to send James Hack Tuke to the region to inquire into conditions and to distribute relief. Tuke published his observations in Irish distress and its remedies: a visit to Donegal and Connaught in the Spring of 1880, highlighting the widespread distress and destitution at a time when the British government questioned the extent of the crisis. Tuke also distributed £1,000 in relief in the most destitute areas. He concluded that there had been no major improvement in the position of the people since the 1840s and that the provision of relief during crisis periods was not the long-term panacea. Tuke realised that local resources, and in particular agriculture, could not sustain such a large population. Emigration was the long-term solution to the congestion and destitution, but it would only be effective if whole families (rather than individuals) left, as that would allow holdings to be consolidated into viable, economic farms. In the summer of 1880 Tuke spent two months in the United States and Canada to ascertain the most suitable areas (where there was a strong demand for labour with high wage rates) for the settlement of Irish emigrants. Much of his time was spent in the mid-west and Manitoba, and he concluded that these areas offered opportunities for new emigrants, as they were being opened up for economic development by the railway companies. Tuke also met Canadian officials, who assured him that they would support and help in the integration of any emigrants sent to its jurisdiction. Tuke returned to Britain intent on promoting Irish emigration to Canada and the mid-west. Above: James Hack Tuke was born in York in 1819, son of a Quaker wholesale tea and coffee merchant. Throughout his life Tuke was active in philanthropic affairs. In 1846–7 he came to Ireland and distributed relief on behalf of the Society of Friends. His involvement in Irish affairs resulted in his serving on the Congested Districts Board from its establishment in 1891 until 1894. He died on 13 January 1896. During 1881 Tuke published articles in a number of journals on the advantages of emigration from Ireland, arguing that assisting families to leave was the solution to the poverty of the poorer classes in the west of Ireland. A similar project had been put into effect during the summer of 1881, when Revd James Nugent of Liverpool aided a number of Connemara families to settle in Minnesota. Tuke appealed for subscriptions to establish an emigration fund to pay the fares of families from the west to North America. It would cost £100 to enable a family of five to emigrate and to provide for them in Canada over the first winter, after which they would be in a position to plant and harvest their first crop and support themselves. Above: The departure of Irish emigrants from Connacht. A similar project had been put into effect in 1881, when Revd James Nugent of Liverpool aided a number of Connemara families to settle in Minnesota. From the outset the scheme encountered problems: Tuke discovered on his arrival that the board of guardians had rescinded the earlier loan application because of opposition from local shopkeepers. The guardians’ approach also differed from that of Tuke: they wanted to send out as many as possible at minimum cost, whereas Tuke wanted proper structures in place so that the emigrants would be adequately provided for in North America. Tuke decided to continue with the committee’s emigration programme but it was confined to Clifden, although contact had been made with interested parties in Newport, Mulrany and Achill. Despite the financial constraints, nearly 1,300 people were assisted to leave between April and June 1882, the majority from the Clifden area but also a small group from Newport, Co. Mayo. The first group of 201 left on the SS Austrian on 28 April from Galway to Philadelphia and the cost was £1,315 or £6/11/8 per person; £885 was spent on passage fares, £125 on clothing, £125 for American rail fares to bring them to their final destinations, £75 for conveyance to Galway and £125 on incidentals. The overall cost of the emigration in 1882 was £7,429, nearly all of the Tuke Committee’s available resources. Tuke’s experience in Clifden in 1882 convinced him that the demand for emigration from the west was beyond the capabilities of a private organisation. A substantial group who wanted to leave remained in Clifden, but the committee was not in a position to help. He realised that government participation was vital if the emigration schemes were to succeed, and estimated that £700,000 was needed to assist 100,000 people over a five-year period. In April 1882 representations were made to the government for financial assistance, and this was bolstered by the lord lieutenant’s visit to Galway and Mayo in the late summer of 1882, where he witnessed at first hand the congestion and destitution and Tuke’s emigration endeavours in Clifden. There was also a growing realisation among MPs that the provision of relief was not a long-term solution to the problems of the region and that emigration was a more practical remedy. As a result, the government allocated £100,000 for emigration purposes under the 1882 Arrears of Rent Act. Tuke and his committee were to administer the scheme in the Oughterard, Belmullet and Newport Poor Law unions, as well as in Clifden. Funds were also made available to another 38 unions, to be administered by the Local Government Board for Ireland. Under the terms of the Arrears of Rent Act the government contributed £5 towards the emigration of each individual. The Tuke Committee provided the balance from its resources, as it was felt that the four unions it worked in were too poor to come up with the necessary additional funding. Tuke continued the process that had been put in place in Clifden during 1882. Structures were already established to expedite the emigration process: there were relieving officers, car-owners etc. who had been employed from the previous year and were experienced in the emigration process. Large numbers of aspiring emigrants remained and Tuke decided that applications had to be submitted by 31 January 1883. Many in the remote areas of Connemara were not aware of the deadline. The successful candidates were notified ten days before departure, to ensure that tenants planted a crop and would return to their farms if their applications were unsuccessful. Nevertheless, some gave up their holdings, hoping that Tuke would have no choice but to send them to North America. The Tuke Committee received 6,420 applications to emigrate under the Arrears of Rent Act: 1,700 from Clifden, 2,420 from Belmullet, 740 from Newport and 1,560 from Oughterard. The first group of emigrants from Belmullet (356 people) left Blacksod Bay on the Nestorian on 1 April 1883. The total cost of the emigration from the four unions in 1883 was £34,545, with the government providing £26,445 and the Tuke Committee funding the rest. This mainly came from private subscriptions from sympathisers and £3,606 from the Duchess of Marlborough Relief Fund, the balance of its relief fund operation for 1879–80. While the 1883 emigration scheme ended in June, the demand for assistance persisted. On 25 June 1883 Tuke appealed to the government for additional funding so that the emigration schemes could continue. The Gladstone administration clearly felt that the schemes were a success and did not want to dismantle the existing machinery. A further £100,000 was made available under the 1883 Tramways and Public Companies Act for emigration purposes, but this was subsequently reduced to £50,000 because of the insistence of Parnell and the Irish Parliamentary Party (IPP) that an equal sum be made available for migration projects within Ireland. In addition to the four existing unions, the Tuke Committee was given responsibility for emigration operations in Swinford, the Connemara portion of Galway union and Arranmore Island off the Donegal coast. Tuke assisted 2,802 people to leave in 1884: 996 from Belmullet and Newport, 769 from Oughterard, 374 from Clifden, 594 from Swinford and 96 from Arranmore Island. By this stage the schemes were coming under attack from influential groups within Ireland, including Parnell and the IPP, the Catholic bishops in the west, the local boards of guardians (which were now controlled by the IPP) and local shopkeepers. In addition, demand for assisted emigration in the west of Ireland declined as the agricultural economy improved and the 1884 harvest was good. While Tuke still felt that there was a need for further emigration, these schemes were conducted privately and over the following five years 200 people, mainly from the Clifden and Belmullet areas, had their passages paid to North America. As late as June 1890 he was still advocating emigration as the panacea for the perennial problems of the west, estimating that a further 100,000 people needed to leave and that this could be achieved by assisting 4,000 families or 20,000 people each year over a five-year period. While Tuke is largely remembered in Ireland for his relief work during the Great Famine, his emigration schemes of the 1880s have been largely forgotten or ignored. Between 1882 and 1884 he assisted 9,482 people to leave for a new life in North America. It resulted in 17% of the families in Clifden, Newport, Belmullet and Oughterard leaving. The total cost was £68,500, with the government subscribing £44,000 and the Tuke Committee providing the rest. It helped to initiate a chain migration process from these areas. In 1885 Tuke estimated that a further 500 people had left the Clifden area through money remitted by those assisted under his schemes. While Tuke saw emigration as the solution to the endemic poverty and destitution in Connemara and Mayo, it failed in its objective. Throughout the 1890s these areas continued to suffer from periodic crop failure and needed intervention from the central authorities. Nevertheless, the Tuke emigration schemes must be seen as providing a new life and fresh opportunities for those who otherwise would have had to endure a precarious existence in some of the poorest areas of the country. They were a radical alternative to the problem of congestion, poverty and destitution. While influential and powerful sections within Irish society opposed this approach and brought about their termination, there is no doubt that demand existed in the west of Ireland for James Hack Tuke’s assisted emigration schemes. Copyright 2013 History Ireland. All rights reserved. Gerard Moran lectures in history at NUI Maynooth. Further reading H.E. Hatton, The largest amount of good: Quaker relief in Ireland, 1645–1921 (Kingston and Montreal, 1993). G. Moran, Sending out Ireland’s poor: assisted emigration to North America in the nineteenth-century (Dublin, 2004).